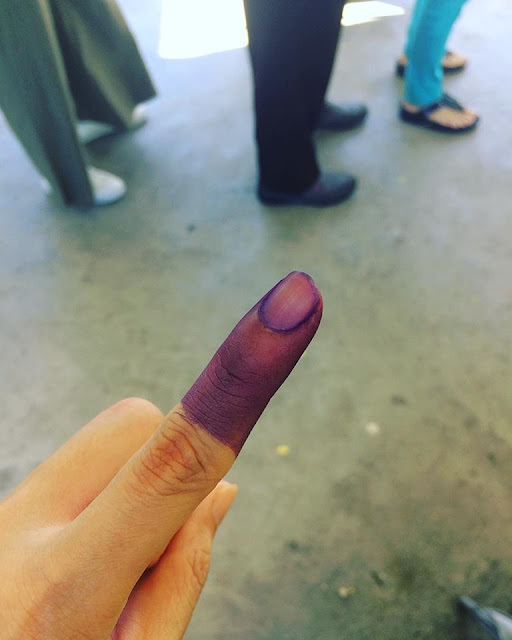 My dad and uncle were being very energetic and supportive to drive up to small town (a rural place named Marudi; which took about one hour and a half from Miri) to send my grandma for voting early in the morning. On the other hand, after having breakfast my mum and I (first time voters and won) went to vote and I finished my vote in less than 5 minutes (maybe even lesser) whilst my mum needed to queue up for like half an hour because her saluran has more people. Being advised under the same government for 60 years and OH YEAH, WE FINALLY CHANGED THE GOVERNMENT! Proudly displaying my index finger dipped with RM48,000 ink.